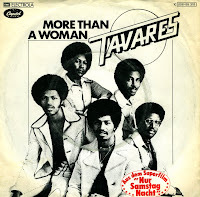 Quite possibly one of the best tracks from the soundtrack of 'Saturday night fever', the Tavares brothers recorded 'More than a woman', a track written by the Bee Gees and did some wonderful harmonies in it, especially near the end of the song. It was an era in which black artists were actually able to record something worth listening to. 'More than a woman' was actually recorded by the Bee Gees themselves too - and both versions appeared on the soundtrack of the movie. 'Heaven must be missing an angel' was written by Freddie Perren and Keni St. Lewis. 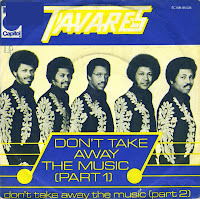 It was recorded by Tavares in 1976. The song was released as a single from their album 'Sky high!' and was split into two parts for the single. The single reached number 15 on the Billboard Hot 100 chart. In the UK singles chart, it reached number 4. But it performed best in the Dutch Top 40, where it got to number 1. In 1985, Ben Liebrand made a remix of the track, which was also released as a single. 'Heaven must be missing an angel' was written by Freddie Perren and Keni St. Lewis. 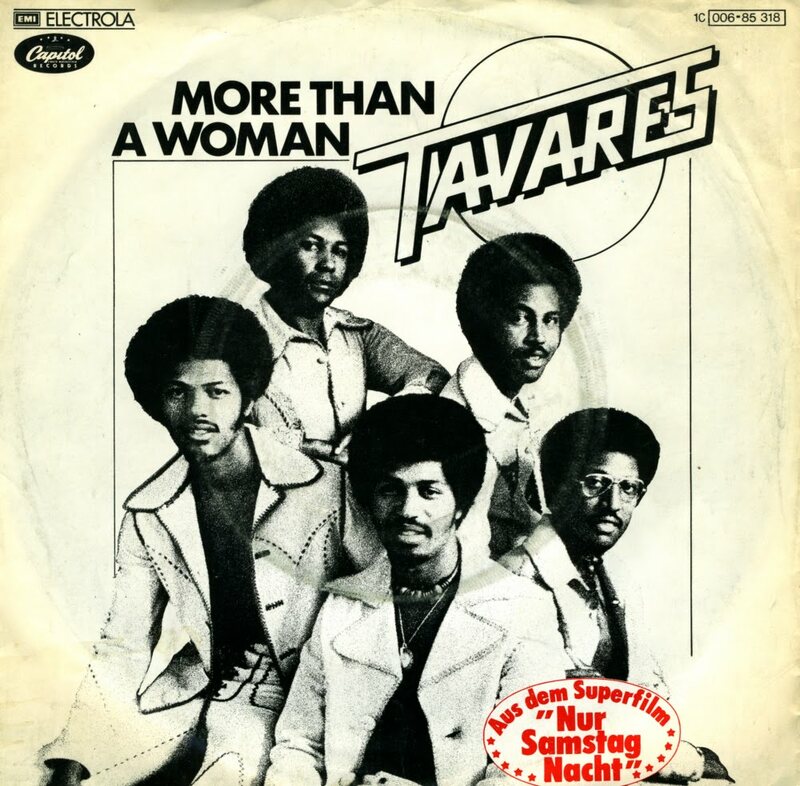 It was recorded by Tavares in 1976. The original version was a hit all over the world, at the height of 'disco fever'. Dutch remixer Ben Liebrand made a remix of the song in 1985, which made it a hit for the second time. The single reached number 8 in the Dutch Top 40 in September 1985, and number 21 in the UK singles chart in March 1986. 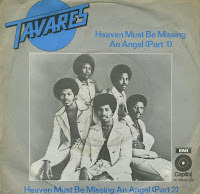 Five Cape Verdean-American brothers from New Bedford, Massachusetts formed Tavares in 1973. They were Ralph, Arthur, Antone, Feliciano and Perry Lee Tavares. In 1976/1977 they had three memorable disco hits, 'Heaven must be missing an angel', 'Don't take away the music' and 'Whodunit'. 'Don't take away the music' peaked at number 4 in the UK singles chart and number 3 in the Dutch Top 40. In 1984, Ralph Tavares stepped down from the group, and Tiny left in the mid 1990s, but the other three brothers continue to tour.